Take your gameplay to the next level with BlueStacks. 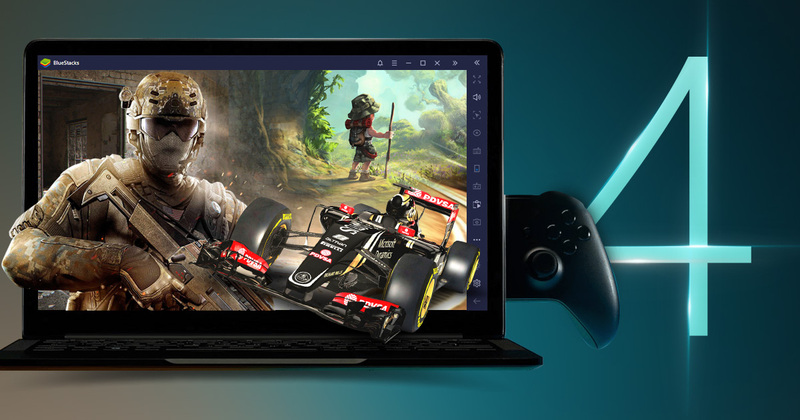 As pioneers of mobile gaming on PC, BlueStacks continuously delivers the fastest gaming experience with the widest range of experience-enhancing options. Our direct partnerships with over 100 of the biggest mobile game developers as well as investments from Intel, AMD, Qualcomm, Samsung, and other technology leaders defines BlueStacks as the flagship Android gaming platform for PC. Android N provides the widest range of compatibility for running all of your high-performance, high-graphic mobile games on PC. Nougat provides additional graphics features that make playing games on a larger screen with a keyboard, mouse, or gamepad more crisp and clean than on your phone or tablet. Faster Gameplay and better graphics! Save your phone’s battery and HD space! Join over 300+ million people playing their favorite mobile games on their PCs and Macs on the world’s most popular Android Gaming Platform – BlueStacks. With users across the majority of a world, the BlueStacks gamer community continually blurs the lines between mobile and PC gaming. BlueStacks is not an Android Emulator. BlueStacks is the best Android Gaming Platform on Earth and it can turn your PC into the best mobile gaming device – period. Don’t let fat thumbs slow you down. Set your controls on Keyboard, Mouse, or Gamepad and play competitively. BlueStacks not only brings you the best mobile gaming experience on PC, but we give you opportunities to turn your gameplay into real prizes. By playing games, participating in quests, and completing selected tasks, you earn BlueStacks Points which you redeem in the BlueStacks Store. Each BlueStacks Point earned is a step closer to redeeming a gaming mouse, a new gaming PC, card packs to complete quests, or other constantly evolving prizes. If you are a content creator, join the BlueStacks Affiliate platform and start earning money for each piece of content you create. Whether you have a YouTube, Twitch, Nico Nico, or Afreeca TV channel, a blog, or just a large social following – monetize your content with Bluestacks Affiliate. Select offers you find exciting, create content, drive traffic via the custom BlueStacks Affiliate links, and earn payouts for every install. Find and play your favorite Android games on PC!